As soon as spring has sprung and summer looms, many of us just can’t wait for fresh greens: like lettuce, arugula, and spinach. At the very same time, our lawns and gardens come alive – though some of us notice that swarm of yellow moving in! That’s right: this time of year is also the age of the prolific dandelion, popularly viewed as an invasive nuisance. 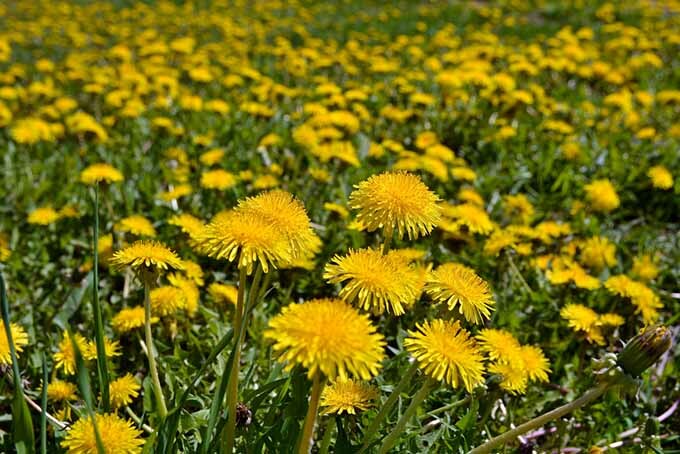 While it does have those idyllic yellow blooms, adding a splash of warmth to the natural scenery, most people sadly equate it with the former description: it’s just another pesky weed to get rid of. 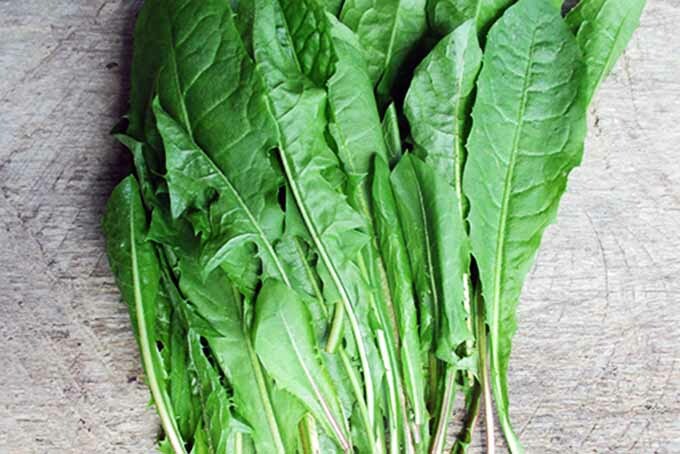 What many don’t realize, however, is that you can eat dandelion leaves as a healthy green! So next time you’re impatiently tapping your foot for the first greens to arrive – while glowering out that window at all the dandelions threatening to take over – remember that there’s an easy solution in the meantime. Once winter melts and summer is right around the corner, the landscape becomes a vibrant party, filled with flowers of all kinds. We have the popular flowers we love: the ones we actually invited to the party (maybe they RSVP’d? ), such as the primroses, crocuses, and more that we dearly want to see. But on the outskirts lurks that awkward wallflower – the dreaded dandelion, here to crash the fun. But what do we know about wallflowers? Sure, sometimes they just don’t fit in with what we planned, or they’re not as glamorous as the cultivated flower friends we want to keep. But if you give them a chance and get to know what they have to offer, maybe they could really liven up the party! No more waiting for fresh greens! Dandelions can be kept under control. You save money, both on buying greens and using chemical dandelion killers. Your health can benefit as well, if you dine on them regularly! 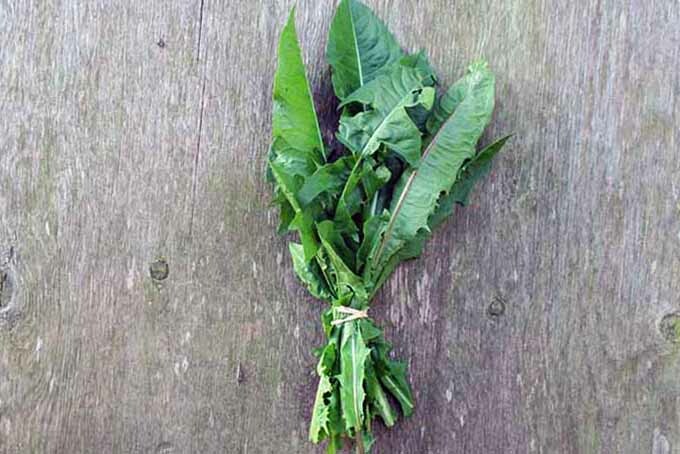 So why NOT harvest dandelion greens from nearby, when this can accomplish all of the above? My argument: it would be insane not to! 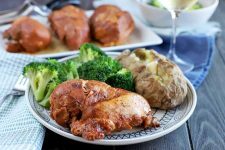 In this article, I hope to open your eyes to the nutritious bounty around you this season, right under your nose, hidden under the guise of that flower we all love to hate. And who knows – maybe it will change your entire perspective, even your relationship, with this plant! Up ahead, we’ll go through all you need to know about how to enjoy this wonderful early fare, including harvesting tips and what to avoid, how to ensure that you get a quality product at the market, storage advice, and cooking suggestions. And, last but not least, we’ll look at how eating dandelions can be a big boost to your health! 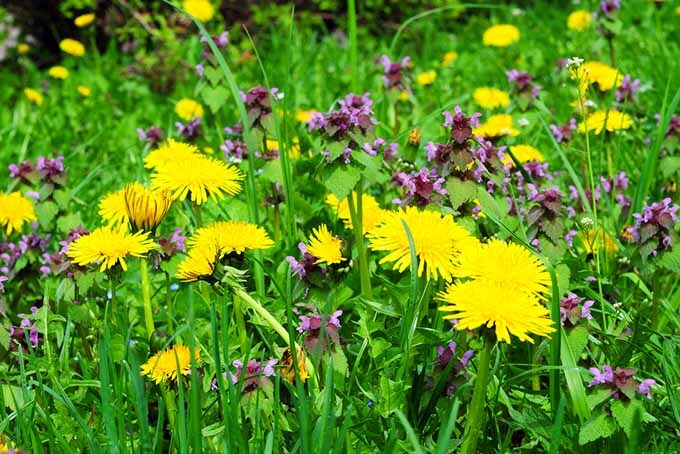 There is a special precaution that you need to be aware of before getting into the dandelion game – and that’s being aware of the presence of chemicals. 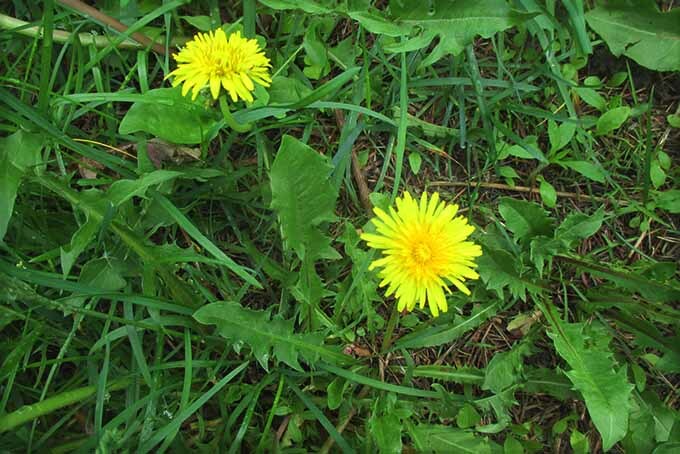 It’s imprinted in the consciousness of many people that dandelions are bad, so you may run into some tangles if you want to harvest from your yard, a park, or especially any public area within an urban environment. 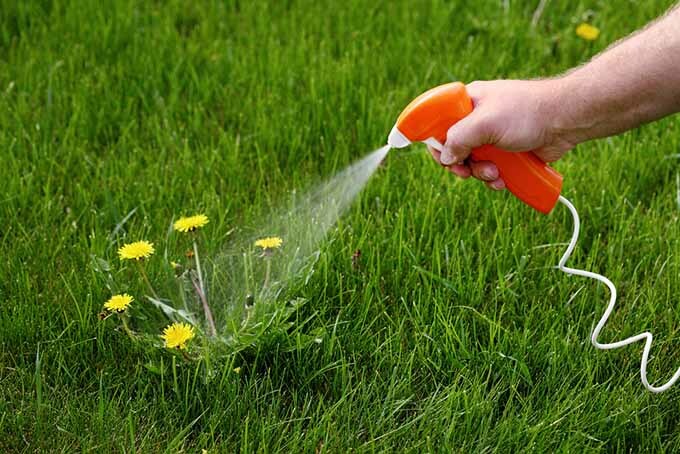 Because people spray dandelions to kill them. They also spray chemical fertilizers on lawns where they grow, while other areas they populate might be filled with additional toxins, runoff, pollution, or exhaust. Thinking of harvesting from an urban or suburban lawn that you spray, or where you’ve spotted landscaping specialists doing the same? Definitely leave the dandies growing there alone. If you don’t spray your lawn or garden at all, consider them safe places to pick – and if you decide to stop applying chemicals, wait for a good, strong rain to wash your yard before picking. It’s also wise to do some background research on the chemical history of any area where you live. What about a park, berm, or patch of grass next to your apartment? They could be safe, but be sure to check with the city, your landlord, neighbors, or other community resources to find out if spraying happens on the property before picking. Landlord hard to get a hold of? Try to make your own observations and use your best judgment. When in doubt, don’t. You might think picking in the woods, or even a state or national park, puts you in the clear. Not always true! Check with local rangers, agents, or other wildlife officials about spraying, and to also make sure picking in these areas is even allowed in the first place. If you’re eyeing a conventional farm field or cow pasture for its dandies, put that idea to rest. Chemicals and manure are definitely items to worry about here! On the other hand, it might also be a great idea to get involved with a local, organic, no-spray urban garden, farm, or CSA – they’d be happy for a visit that leaves them with a few less of these weeds. Skip over any ditches, driveways, railroads, sidewalks, and roads, even if the plants look healthy growing up through those cracks! Stay away from sites downhill of industrial, agricultural, or chemical buildings. If there’s any inkling of something chemical nearby – simply move on. Once you’ve found and targeted an ideal, healthy, and chemical-free source, it’s time to get picking! While spring yields the tastiest and least bitter greens, the honest truth is that you can pick and eat them all year round. 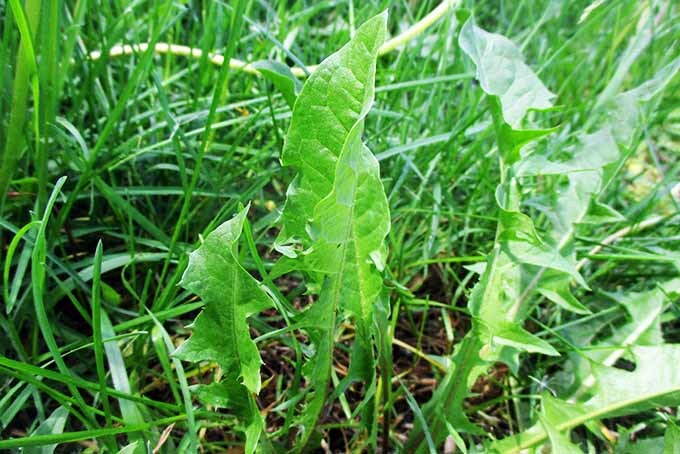 However, the way you pick may depend on how you want to eat this wild vegetable. If you choose to enjoy it as a salad green, this requires a bit of finesse and a sharp eye in the spring if you want to avoid excessive bitterness, while going for cooked greens is a more effortless harvesting process. For those who have eaten it, there’s a very unforgettable trait to this yellow-flowered weed: bitterness. For a fantastic look at the subject, check out Jennifer McLagan’s “Bitter: A Taste of the World’s Most Dangerous Flavor, With Recipes,” available on Amazon. Certain leaves are more tender, less bitter, and ultimately ideal for use in salads. With practice, you’ll learn to identify them. 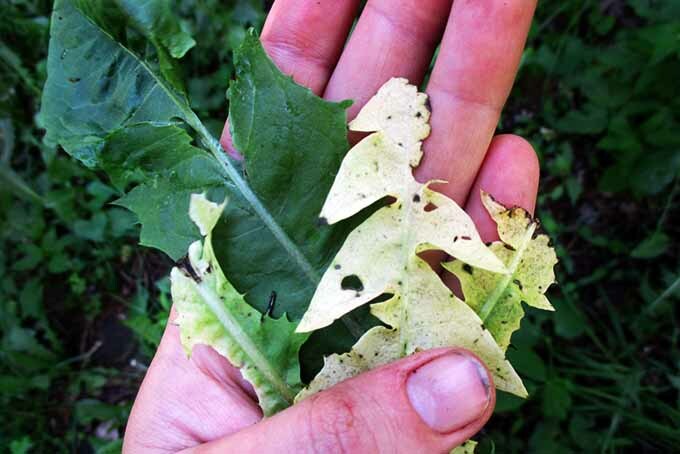 When scanning for salad dandies, look for plants with lighter green-colored leaves, especially ones that are growing up from the center or inner rosette of the plant (from which the flower stalk comes up). In general, ideal leaves tend to be found on younger, smaller plants that will be much more plentiful in the spring. You may find a few throughout the warmer seasons, while mature plants may put out tender young foliage from their inner leaf rosette. Leaves from plants that have flowered tend to be more bitter. As a survival mechanism, the release of bitter compounds in the leaves is meant to deter animals from munching away before the plant has a chance to reproduce. Large, mottled, spotted, and dark-looking leaves are more suitable for cooking and less for salads, as they are likely to be more bitter. Furthermore, don’t pick the outlier leaves – the oldest ones on the ring furthest outside the rosette – or those that touch the ground. With one hand, gather all leaves on the plant together into one big bunch, holding them at their leaf bases (think about this as if you were gathering hair for a ponytail). If the leaves and plant are small, hold it this way with your fingertips. 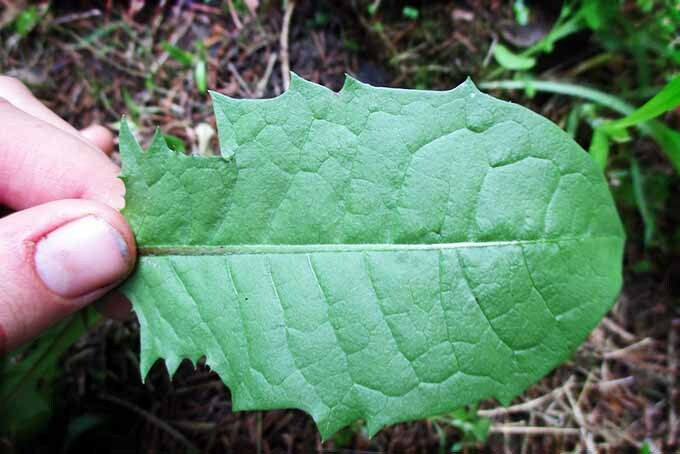 If these are tender leaves on a mature plant: pick out any undesirable ones from the bunch (dry, brown, dark, spotty, and potentially bitter) and let them fall (still attached to the plant) back to the ground, out of your hand. While holding the bunch in one hand, with other hand take a knife and slice away all of the leaves you have gathered away from the plant at their base, leaving about 1 inch of leaf still attached to the plant. Place your handful of severed leaves in a colander or strainer, give them a good wash, and they’re ready to serve as a salad green! Stick to these guidelines, and I’m sure you’ll have a healthy, zippy-tasting salad in no time (without all the bitterness)! 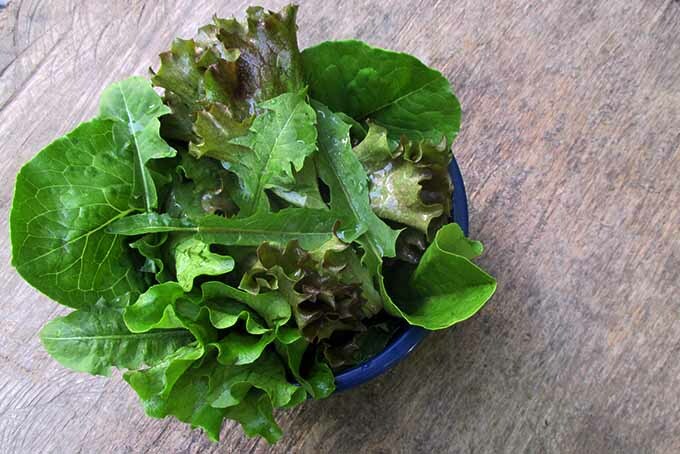 Harvesting leaves in bunches is a quick way to generate a good-sized salad in no time, though you can pick single leaves one at a time instead, if you prefer. 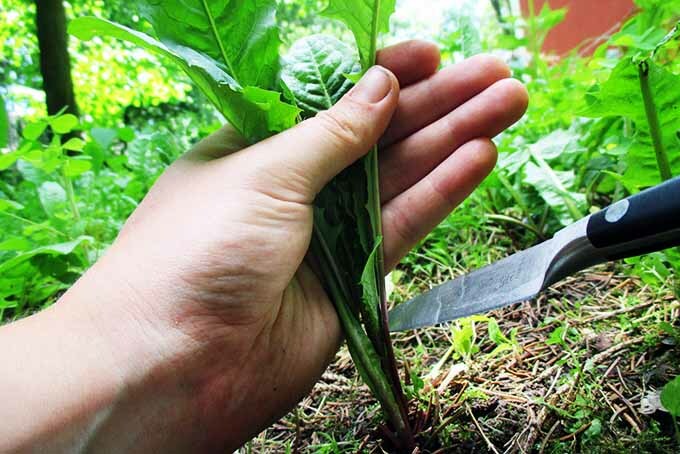 You can also dig up whole plants by the root and cut away the leaves, a great way to curb the population in your lawn or garden beds. If you’re a huge fan of bitterness, however, and don’t mind not being too selective (like I am), feel free to indiscriminately harvest your bunches without being picky. 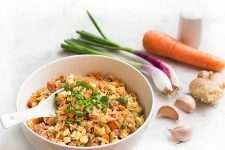 Some of us love that sharp, bitter flavor – and it’s healthier in some ways, which we’ll get to later! The next section, on how to harvest cooking greens, can also provide a great alternative salad picking tutorial for all you bitterness-lovers out there. 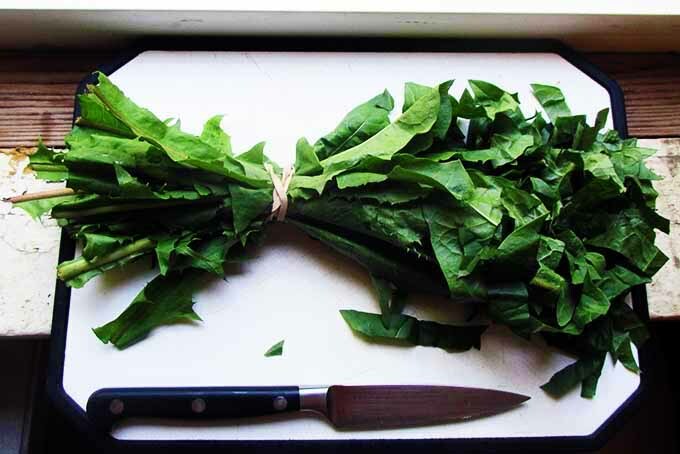 Much like collards, kale, or spinach, dandelion leaves make for an excellent cooked green. The great thing about them: cooking masks some of the bitterness (especially with the addition of spices and fats), so going this route may make the flavor (and certain health benefits) more accessible to those who aren’t bitter fans. The cooking option also makes picking easier, since you don’t have to discriminate so much when choosing cooking-ready greens from forage. 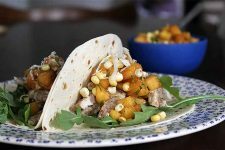 Big, dark leaves from flowering plants will do just as well – and you can even get away with using spotty, imperfect leaves if your goal is enjoying a sustainable, healthy dish with a taste of the wild. Stir-fried, sautéed, braised, baked… we’ll get to some ways you can cook this wild veggie later. First, let’s get a rundown on how to harvest. 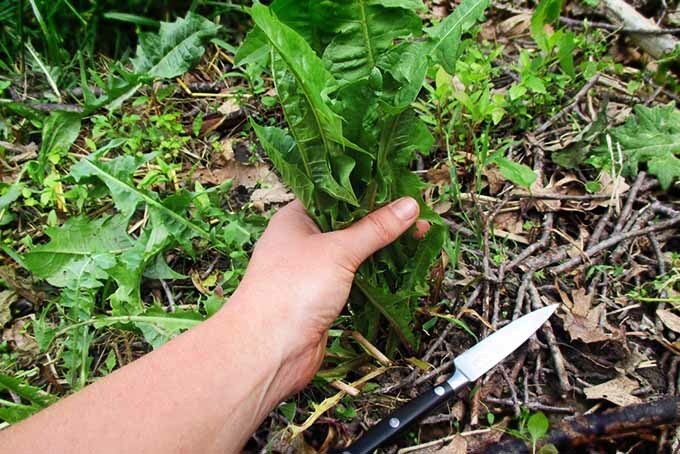 Similar to harvesting salad greens: with one hand, gather all leaves on the plant together into one big bunch, holding them at the leaf bases. Select and sort out any undesirable leaves in the bunch (dry, brown, dark, spotty, diseased) and let them fall (still attached to the plant) back toward the ground. If bad leaves are deep within the center of the bunch, pick them out and remove them by detaching gently from the plant with your fingers. If you’re not too picky about leaf appearance, gather the entire bunch of leaves together instead. While holding the bunch in one hand, with other hand take a knife and slice away all of the gathered leaves from the plant at their base, leaving about 1 inch of cut leaf attached to the plant. Place your handful of severed leaves in a colander or strainer, give them a good wash, and they’re ready to chop and cook! After washing, you can opt to bunch longer and larger-sized greens by tying them all together at the base for storage with a rubber band, or keep smaller leaves loose in a bag like salad mix – more tips about this will come later in this guide. If you have excellent, clean sources for foraging, you’ll have quite the fabulous setup for both fresh salads and cooked green dishes, once you’ve learned how to harvest and forage. What if you can’t forage your own? No worries – we’ve got you covered. One of the next best places to find this wild, healthy roughage if you can’t pick it for yourself: the market! It might surprise you to hear that yes, you can find dandy greens at some grocery stores, natural food markets, and farmers markets. 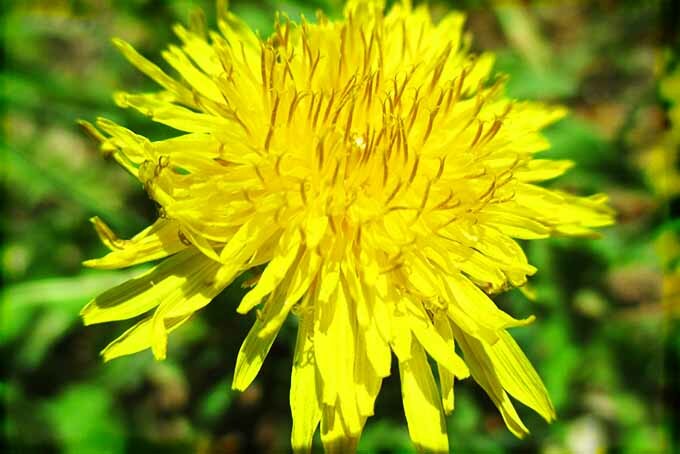 Vendors, farmers, and growers may either harvest their own for sale, or even grow these yellow-flowered weeds commercially in areas where they’re a real hit. Tender, small dandies can be included in salad green or braising mixes, or you may find larger, ready-to-cook greens sold in bunches, much like spinach. So if you don’t think you can source and forage your own, take a look at various markets in your area to see if they’re there. You may just get lucky! Bonus Tip: If you are devout in your pursuit of this fare at market, identify (or even ask) whether the greens there are indeed dandelions. 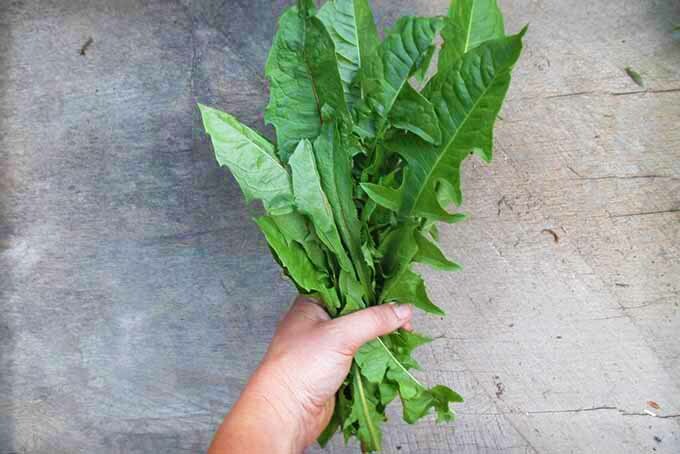 The leaves of chicory can be very similar, and some vendors still refer to them as one and the same. To reassure you, chicory is still a very delicious vegetable and worth a try; taste-wise, many wouldn’t be able to tell the two apart. 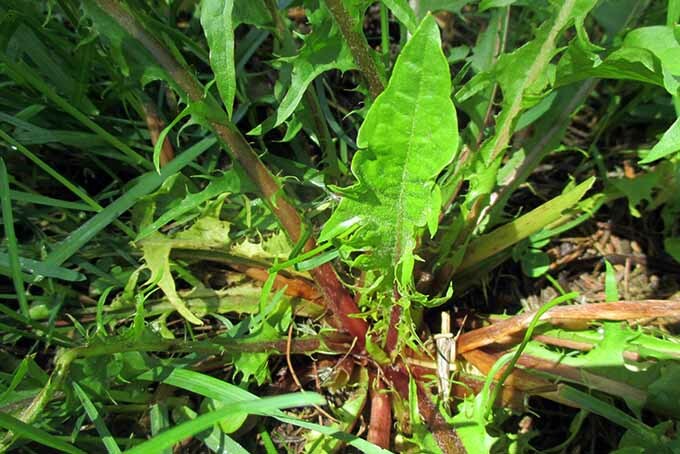 But if you are hell-bent on the dandy experience, leaves of chicory will have a crimson vein in the center of their leaves, while the other tends to have white leaf veins. Standards at grocery stores and co-ops should have you covered, but if you’re buying at a farmers market, talk to vendors. Ask them about their harvesting or growing methods. Did they harvest or grow the plants? Are they from a chemical-free area? Do they spray or grow organically? Answers to each of these may be important factors in your choice to buy. Anything you wouldn’t pick, you wouldn’t want to see on a market table or shelf either, right? Check any products, especially bunches, for very dark-colored, spotted, diseased, and wilted leaves. Sometimes bunches may hide some damage in the inner leaves– take a good look before buying. So you’ve gotten your hands on some dandelion greens, in one way or another. Now, how to make them go the extra mile? Again – if you’ve harvested them yourself, holding on to them depends on how you harvested them, and what you harvested them for: cooking greens or salad greens. If you to keep leaves loose salad-style, store them in a plastic bag with a sprinkle of moisture in the fridge. A slightly perforated bag helps excess moisture drain away. Or, opt for something like a reused plastic salad clamshell to store them – just make sure it’s washed first. If you’ve bunched up larger leaves either for salads or cooking, you can also store these in a plastic bag with a bit of moisture in the fridge. With dandies, it’s advisable to eat your harvest within the week. When stored improperly, the leaves are quick to wilt and become completely inedible, ready for the compost bin. After a week of storage, this is bound to happen to even the very best stored and cared for leaves. And if they do go bad? No worries – just look outside, and you’ll remember that there are plenty more of them to go around. Want them to last longer than a week? 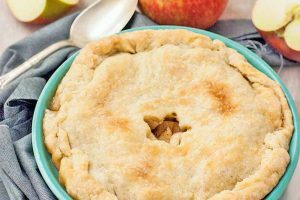 Learn how to blanch and freeze them! 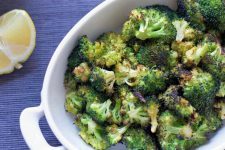 This will allow you to hold on to fresh, healthy veggies that you can cook year-round and beyond, with blanched and frozen items retaining a shelf life of about a year – while helping to maintain a lot of the plant’s nutritional and health benefits. On that very same subject, dandelions can be a super source of vitamins and minerals, offering other potential healing properties besides. Vitamin A – Essential for good eye, skin, and reproductive health. Vitamin C – Antioxidant, helps absorb iron, strengthens collagen and blood vessels. Vitamin K – Dandies contain up to 5 times your daily allowance per 1 cup serving, and even more when cooked! This is necessary for proper protein usage and blood vessel health. Calcium – Very important for bone density and growth, especially in the young. 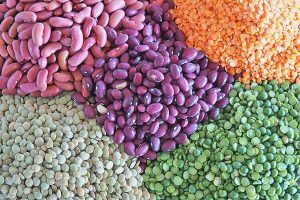 Iron – Responsible for forestalling anemia and transporting adequate oxygen through the body, by boosting red blood cell count. For over a thousand years, this pesky garden resident has not only been nutritious fare, but a favorite among herbalists as well. The whole plant – including leaves, root, and flower – was used as a diuretic, tonic, bitter, anti-spasmodic, fever remedy, liver remedy, and for relief from menstrual cramps and other issues. The root, however, has been favored as the most potent part in comparison to the leaves. 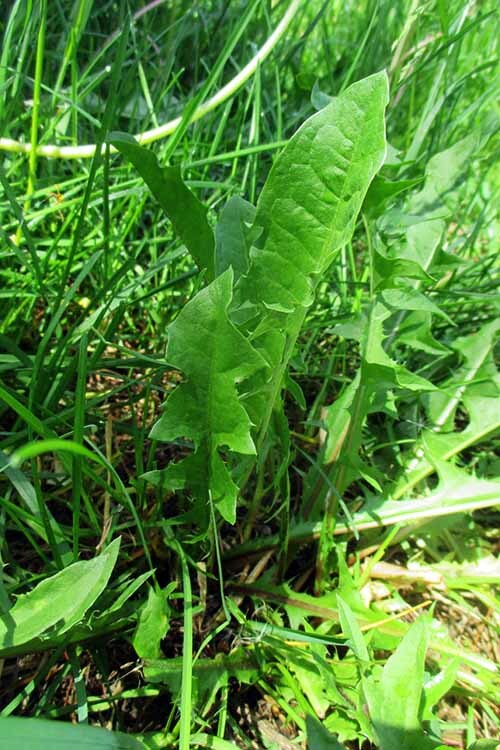 Dandelion greens in particular boast some digestive, tonic, bitter, and hepato-protective properties, hailed by herbalists both of old and today. Modern examinations of the plant reveal that it is chock-full of flavonoids, sesquiterpenes, phenolic compounds, and saponins that are responsible for some of these effects, which continue to be studied and explored today. An interesting factoid to remember: the more bitter a dandelion leaf is, the more healing and nutritious it is likely to be, in spite of its taste. 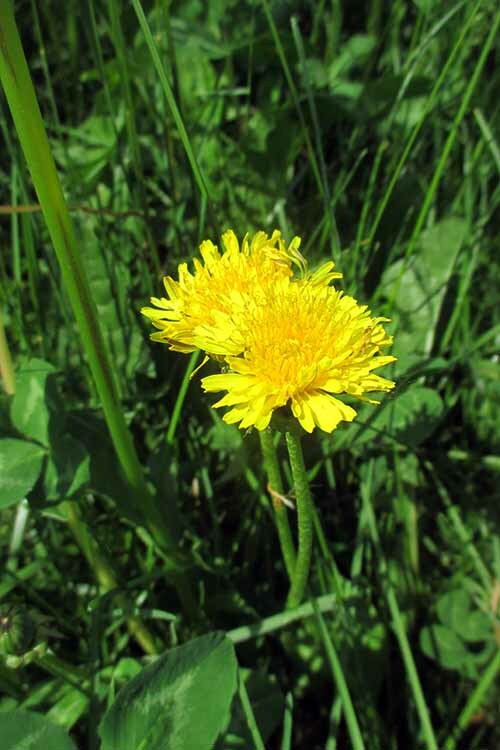 The bitter compounds in dandelion are owed to the sesquiterpenes found in the plant’s latex, which stimulate the flow of bile, and thus may aid digestion and digestive disorders especially. 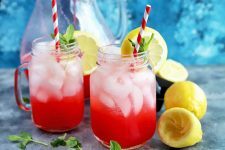 Several trials in the last decade have also been done to understand and utilize the plant’s apparent liver-protecting capabilities (such as those found here and here) even against damage inflicted by drugs and alcohol – a widespread health issue today, alongside digestive disorders and diet. 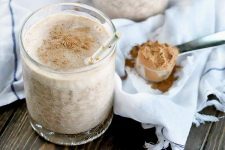 Its diuretic powers have also been confirmed in some studies, lending to improved kidney health as well as cholesterol- and blood pressure-lowering potential. In fact, while the plant persists as a bane to humans with gardens and lawns everywhere, it may ironically be a nutritional and therapeutic key to some of the most common illnesses of the modern age: high cholesterol, high blood pressure, type 2 diabetes, digestive disorders, and more. 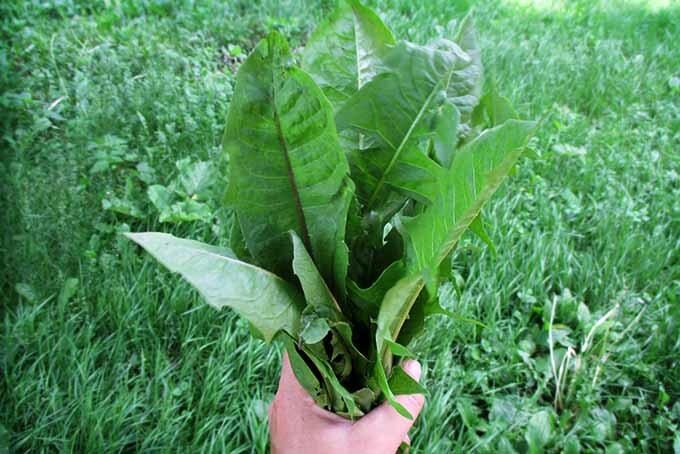 As contemporary Vermont herbalist Guido Masé explains in his book The Wild Medicine Solution, “While herbalists regard this leaf as a mineral-rich botanical to be infused for kidney and urinary health… it is also useful as a bitter tonic when added to salads. 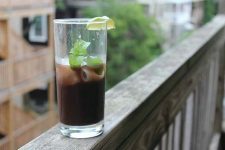 It enlivens our unchallenging iceberg, romaine, and baby spinach concoctions with a wild touch. To learn more about what medicine through wild foods can do for you, I definitely recommend checking out Masé’s book, available on Amazon. 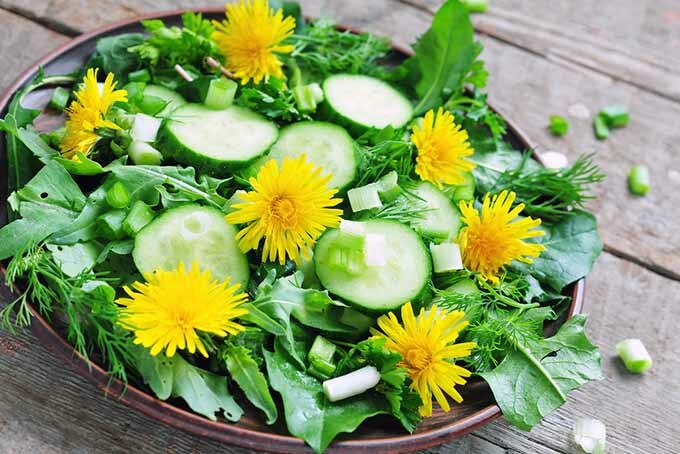 This brings us to our next section – cooking and eating dandelion greens! A great dish both raw and cooked, the greens of this prolific little weed are not only healthy, but with the right finesse, they can be transformed into a true delicacy. And the good news? It’s not difficult to do this at all! In a salad, utilizing dandies is an easy task – simply toss them in with your other chosen greens for a delicious, cooling crunch. I have personally found that while the greens tend to be slightly bitter no matter what, they find a better place among spicier, heartier greens like arugula, mizuna, bok choy, or yukina savoy to help balance them out. Add a touch of vinegar, and you get a nice trifecta of bitter, sour, and spicy – then you’re set! Sometimes, eating them in combination with slightly bitter lettuce – or even less bitter and sweeter spinach – can be a bit drab, and your salad might need a little more dressing up, if you know what I mean. A great dressing combo for a salad with dandies? Try this excellent hot bacon honey mustard dressing featured in another of our posts. The cooking side of dandelions is fairly simple, too. These can be sautéed or stir-fried, just like your other favorite cooking greens, while you can also prepare them steamed or braised (seared, then slow-cooked in liquid or oil) for something a little more unique. Chop them, mince them, or cook them whole – it’s up to you. The fun thing about cooking them: the bitterness will fade substantially into the background. But remember: losing this bitterness takes the digestive and healing benefits away with it – while on the other hand, according to NutritionData.com, cooking ups the vitamin K level. One of my favorite combinations for cooked dandies (or any green, for that matter) is just a little chunk of bacon fat and a tablespoon (or two) of vinegar. You can also roast a few nuts in the oven, like walnuts or almonds, and toss them in for a bit more savory flavor with that bacon fat – or, what the heck, fry up a few strips of bacon or pancetta if you like, for good measure (though that, like the vanishing bitterness, may take away from some of those health virtues a bit). Add a touch of sweetness with some dried cranberries or other fruit that you’ve preserved in your dehydrator, sauté it all together, add a touch of salt, and serve with a delicate grain (quinoa and amaranth are my favorites). 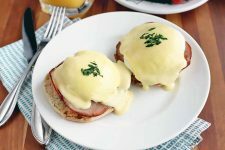 Remember to prepare this dish in a non-reactive pan (cast iron is a no-no) like glass or ceramic, due to the acidity. The end product is amazing. “I would do fresh as possible dandelion greens as a side dish for pan-seared pork belly. Sautee them with some orange and shaved fennel bulb, maybe even a bit of pre-made orange glaze applied to the protein, and mixed with the greens. 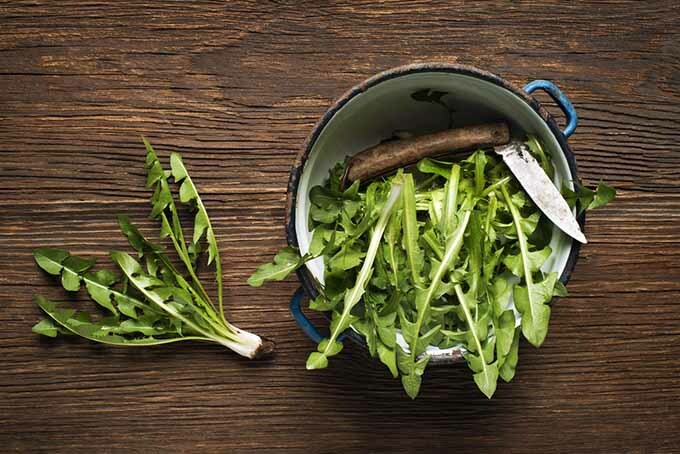 “If you wanted more greens to mix in, add something like arugula and mustard, with more character and spice. This really balances it out – so does something sweet and tart, like citrus or a berry thrown in. I think even apple would be great! 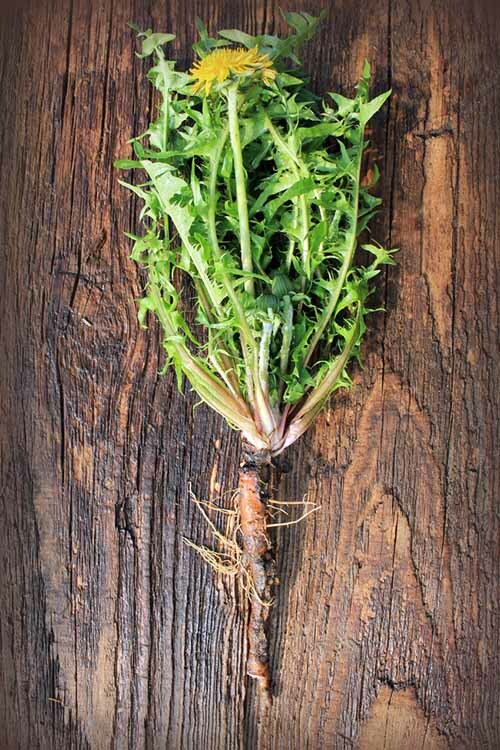 A fun fact: did you know that dandelion flowers and roots have culinary uses, too? 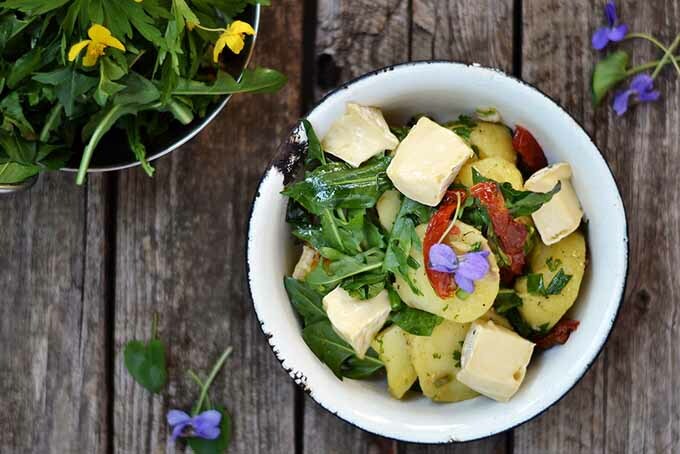 Try picking the flowers and adding them fresh to salads for a little something different, floral, and slightly sweet. 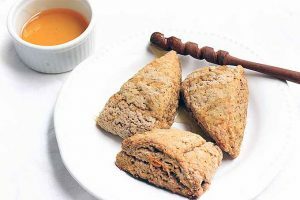 You can also make fritters from the yellow flowers, something I’ve never tried before, but which sounds absolutely amazing – perfect for an early summer barbecue. Some also love to make a dandelion flower wine or jelly (also referred to as honey) when they’re ready for harvest each year. 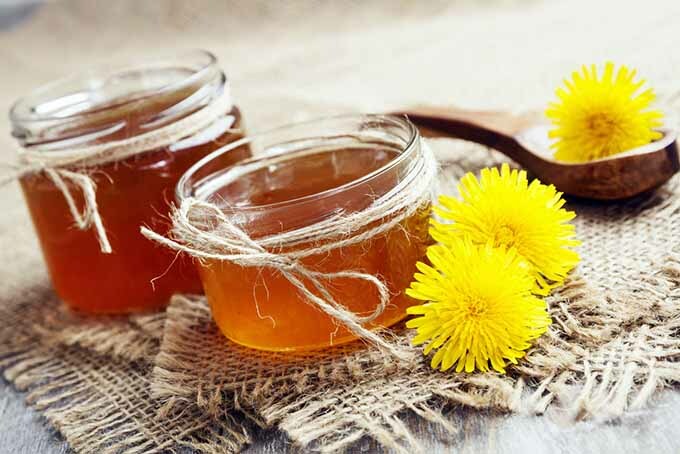 Homemade dandelion jelly, or “honey.” Photo Credit: Shutterstock. 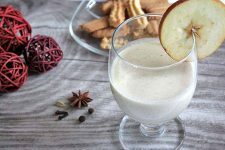 In Europe especially, dandelion roots (along with those of its close relative, chicory) are dried, ground up, and brewed as a sort of coffee substitute. The flavor is much more bitter and earthier than coffee, lacking the caffeine, but having its own unique energizing zip. It’s a common find in Belgium and neighboring countries, and is still a favorite today with my Belgian mother! While dandelions may eat up your yard sometimes, don’t forget that you’ve got a good counterattack: eating them up! Having a spotless lawn or garden may be the ideal for some of you out there. 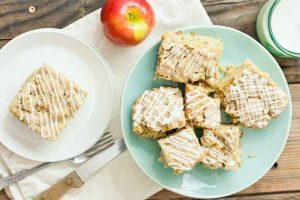 And yet, bringing this edible weed into your kitchen could possibly change your mind forever, transforming your relationship with it from foe to friend (and maybe saving some money that would otherwise be spent on those weed killers). I hope you’ve learned some precious harvesting and foraging techniques here, so you can get more of this healthy green into your life – most certainly a close rival and competitor with other greens like lettuce, spinach, or even kale in terms of nutrition on your salad plate. There could be more potential health benefits beyond general nutrition in it for you, too – like improved digestion, and lowered cholesterol! If you can’t find clean, reliable sources to harvest them, then keep a sharp eye out at your local grocer – or head out to the farmers market. Maybe you’ll see a bunch or two! 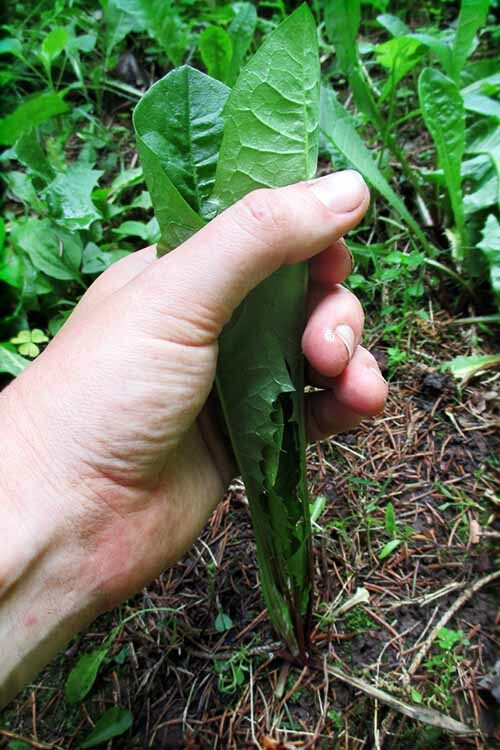 What dandelion cooking and foraging experiences do you have to share? 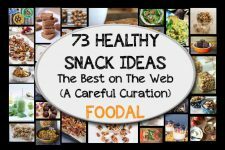 Any recipes you’d like to recommend? Talk to us! We’ve got plenty of room in the comments section below, and would love to hear from you. Photos by Adrian White except where otherwise indicated, © Ask the Experts, LLC. ALL RIGHTS RESERVED. See our TOS for more details. Adrian, thank you so much for this trip down memory lane! 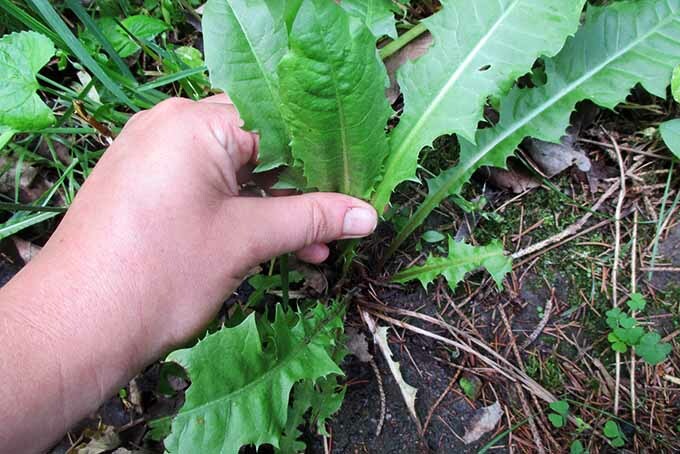 Mind you, I have never harvested dandelion greens (although, after reading your article, it’s on my list of things to try); however, you could have written this very same article about mustard greens. When I was a child and lived on an apricot orchard left to weed before my godfather (yes, my godfather! cue the music!) came over once every late spring to plow the fields under with his tractor, my nonna and her sister would race to the orchard at the first sign of the ready-to-bloom delicacies I grew up knowing only as “coluzzi” — or mustard greens. The old ladies would stoop down in the fields for half the day, painstakingly selecting just the right, most delicate little plants to harvest with their bare hands. As for your article, I am delighted by the preparation methods for dandelions which, I am certain, would serve just as well for coluzzi. The only way I have ever enjoyed coluzzi (and I do enjoy them!) is in a quick, bottom-of-the-pot saute in olive oil first used to cook down chunks of fresh garlic, as learned from my nonna. The trick is to avoid cooking the poor little shoots to death; instead, sizzle them to the point that they are wilted, but have reached a deep, dark, more vibrant green than they had while still growing. Now, you have given me a number of new ideas for preparing coluzzi, and for that, I thank you! Thank you for reading and your comment, Mangiare! I’m glad this wild plant gives you such strong nostalgia and great memories. I’ve never heard the term “coluzzi” and my guess is that you must be talking about some sort of wild mustard native to Italy? I am intrigued! Your description reminds me a bit of arugula or rocket, which is rather the same as dandelion when you harvest it: once it starts to flower, the flavor changes to something less desirable (ridiculously spicy, whereas dandies get really bitter). This must be an arugula relative (that would be my guess about the wild mustard you’re talking about), but I would also be curious if this mustard has a wild equivalent somewhere in the States. Thanks again for your comment – I learned something! There’s an old joke my family often repeated: Q. How do you kill an Italian? A. Plant coluzzi in the highway meridian. As politically incorrect as that may sound, my family repeated this joke not as any sort of self-deprecating slur, but as a proud testament to our ancestors’ ingenuity in foraging for food to keep their families not only alive, but healthy, in the hardest of times. Interesting, Mangiare. Thank you! There are many types of wild mustard green you can stumble upon here in the Midwest (from what I know) and I was curious to know which one might be the cultivar of Italian fame. Thank you so much about sharing your heritage as well, too. I absolutely love little cultural tidbits like that! I love these in salads – and pick them in the bio-vineyards so I can be certain there are no chemicals. We also have a glut of wild asparagus this year. Thanks for reading, Julie. I would love to look for wild asparagus, but it grows in the ditches near all these conventional farms out where I live – definite no-no. At least I have cultivated asparagus to enjoy! This is an interesting article. I love seeing these little yellow gems popping up in my yard in the spring and summer, so it’s good to learn how to harvest and use them in salads and cooking. My mom used to make dandelion champagne many years ago, and that turned out quite successful, though not one of my personal favorite flavors. She tried using the greens in a salad as well, but didn’t know the secrets of picking them to reduce the bitterness and soon gave up on that idea. I will have to let her know about the correct ways to pick the greens. Thank you for reading and your comment, Novelangel. A champagne made from the flowers sounds absolutely wonderful! And yes – that bitter taste from the leaves can be a hard one to forget once you’ve experienced it in its full intensity. 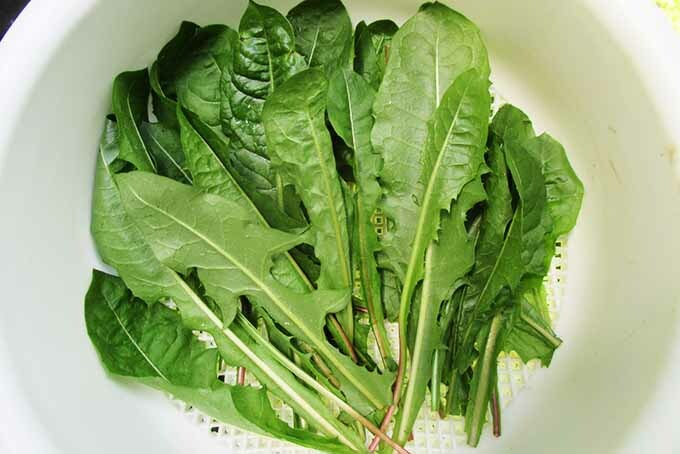 Picking those tender leaves and sticking to those could help for a second try – and for salads especially, I would highly recommend great combo dressings and preparing the salad with a spicier, heartier green like arugula, mustard, or mizuna, like I stated above. Thanks again! Thank you for your comment, Azrile! If you learn how to sort out those most bitter of leaves, it does make for an excellent new yard hobby – and it’s especially good for removing dandelions from your yard if you remove the plant out by the whole root, which is the greatest way to prevent them from returning. Then, you can cut away the greens straightaway from the root, and it really helps with the numbers. Enjoy! 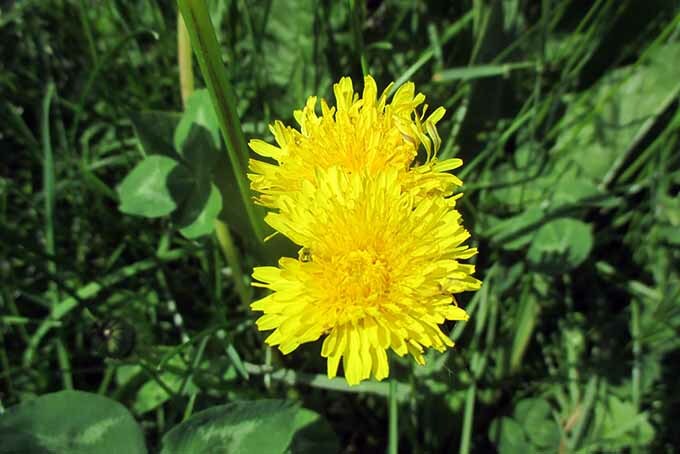 I have only ever seen dandelion used in drinks, for example, dandelion tea or dandelion and burdock flavored soda. I had no idea that the leaves were pleasant enough to eat. Who knew that there was a free salad growing in your garden, completely of its own accord! It’s true, missbishi – your garden and outdoor surroundings are chock-full of free, healthy greens. Not just dandelions, either – a whole lot more. Thank you for reading! My mind has been completely blown here! When I think of dandelions I think of the tall flowers with the clusters of fluffy petals that are sometimes wished on, not these tiny yellow flowers. So I appreciate your post for teaching me this. I don’t kill these flowers ever so my front and back yard are sprinkled in them. I think they’re really pretty flowers, even though some people call them weeds. I had no idea they were edible! I wish I could go to my yard and bring some in to eat up, but I’m afraid I shouldn’t because ant repellents are sprayed in my yard during the summer. Red ants love to gobble me up! For sure, Jasmine, they are edible and lovely to pick. Maybe look into having different ant repellents – natural and safe ones – applied instead of harmful chemical ones? 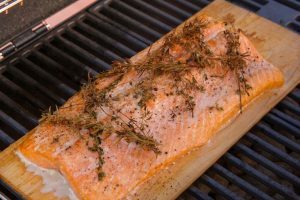 There are some options out there so you can enjoy this delicious wild food. Thank you for reading! Wow! I had no idea that you could eat these! Here I am cursing at them under my breath for taking over my garden when all of this time, they are actually better than some of the things that are out there anyway! This saves me money actually, because although I probably won’t eat them, I will definitely feed them to my rabbit. We don’t use any type of weed killer on them; my lawn guy just mows them down when he comes around. What a great article! Thanks for providing so much information about this annoying yet beneficial plant! You really do learn something new every day! Thank you for reading Achen084! You could certainly feed them to pet rabbits, though they might not enjoy the bitter leaves any more than you do – but certainly give it a try. I do hope your bunnies enjoy them though! This comes at the perfect time. Those flowers are almost everywhere in my garden and I was planning to rip them off in a few days (I don’t use chemicals), I’m lucky I’ve read your article before going on a gardening spree. I had no idea they could be eaten, this site has been a huge source of inspiration for me. Now that I know they are edible, I’m going to follow your advice about picking them and I’ll experiment a bit in the kitchen. When you mentioned the bitter flavor, I was thinking to add some sweetcorn to the salad to balance a bit the bitterness. Some balsamic vinegar could work too. 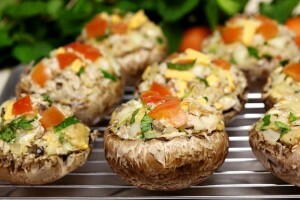 I’ll surely try them out cooked as well, I was thinking about making a frittata with them. The fact that they have so many vitamins and healthy properties is a bonus! Thank you for the interesting read! Snarya, sweet corn and balsamic vinegar sounds absolutely tasty. Definitely try it! It’s given me some ideas too. Thank you so much for reading. This is a very timely article. Here in the UK dandelions are cropping up in public areas everywhere. I wasn’t sure whether or not to give them a try but I definitely will. 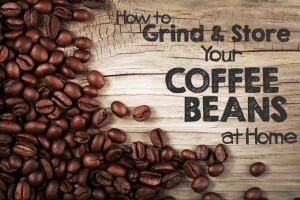 I’m also bookmarking this article for further help! Definitely do give them a try, Eatwell. It will make you think so differently about food – especially salads! Thanks for reading! This is pretty neat, I’ve always looked at dandelions as a useless weed, but this really changes my view on them, perhaps next time when I go out to clean my yard, I’ll remember this site and decide to eat the leaves for a nice healthy dinner. I’m a fan of bitterness so I think I’ll just harvest them and not worry to much about picking the perfect leaf though. Yuin – I love bitterness, too. 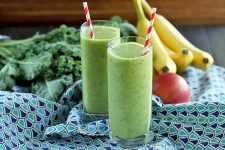 It’s really good to eat bitter greens, so good for you, too! For those like us who don’t mind bitterness, you don’t have to be selective really (except for moldy or rotted leaves, for example). Thank you for reading! This article was incredibly informative and a great read! I can’t wait to try my hand at picking dandelions. This is a great solution to exterminating them, one I can’t imagine I’d have thought up on my own. You compare the leaves to spinach and kale, so I wonder how they’d taste in chip form? I know the leaf itself is bitter, but that isn’t something I really mind, so I might have to give dandelion chips a try, no matter how odd that sounds. Your suggestion of putting them into a salad is really exciting as well, because I do love salads and it’s hard for me to get myself to add more than lettuce, carrots and a few peppers with the occasional handful of baby spinach. Thank you for sharing this, I’ll be harvesting dandelions in no time! Jinkies, thank you so much for reading. Harvesting these flowers for food really is a win-win situation in so many ways! As for making chips, unfortunately the leaves of dandies are not as robust as cabbage family members (like kale) to make very decent chips. I’m afraid the leaves would simply wilt up, dry out, sop up, and fall apart. Dandies are related to lettuce, so think about how heat affects lettuce: it’s similar. Great as a cooking green, though not as a solid chip I fear. Definitely try salads out though. You can’t fail there, and if you don’t mind the bitter taste, adding these greens makes for a more complex, unique, and exciting salad! Thank you for these cooking suggestions! Dandelions grow like crazy around here and I am always pulling them out of my garden, I will have to try your idea, especially about cooking in bacon fat! This reminds me of when I was in grade school – I actually had a homework assignment to forage for dandelions and make a soup out of them. As I recall, the soup was pretty boring and it wasn’t a very good recipe. 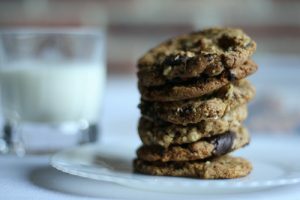 I haven’t tried to cook them since but I have to say this article inspired me to get some out of the yard and try again! Oh my goodness Lynk – cooking these in bacon fat is to die for. In fact, any decent green in bacon fat will simply blow you away. 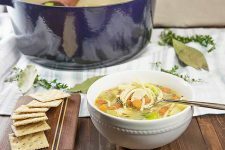 Making soup may be more of a challenge, but I could see someone finely mincing them and adding them into a more flavorful soup with plenty of other ingredients, and that could be excellent; though I don’t think you would notice the bitter dandelion taste. Which could be very good news for some who would struggle with that in general, actually! Grand idea. When you can control it, eat it up. Weeds of different kinds and other foraged food are eaten by people all over the world and most of them are very tasty and nutritious. Dandelions grow heavily and it’s not easy to get read of them. So collecting them to add to your everyday fare is a good idea and if it becomes popular, we may have to start dandelion farming some day!!!!!! You’re definitely on to something, Arunava. It’s funny how the weeds around us are the very things we battle to grow the food we want, and yet they could be a much more successful food source if we gave them a try – and if they were very popular, they could probably do amazing things for peoples’ health! Thanks for reading! Well, it’s good to know that we’ll never starve to death around my house because our yard is full of dandelions. Since we have outside pets, we don’t put any chemicals on our yard, so I know these are safe to eat. I enjoy learning about the healing properties of different kinds of plants. Some time ago, I read about treating poison ivy by putting the liquid that’s inside the dandelion stem on the affected area. I tried it for a few days and I’m not really sure if it helped or not, but the poison ivy didn’t get any worse. Now I’m anxious to try the greens in a salad. Thanks for this very informative article. 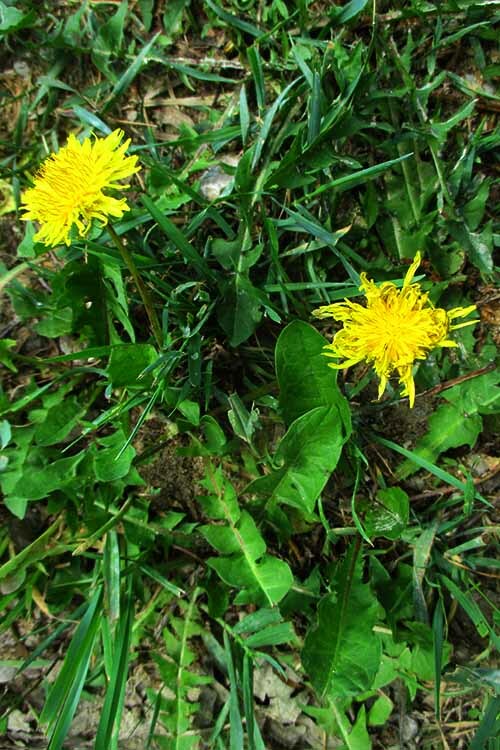 Thank you for reading JMax – I’ve never heard of dandelions being used to remove poison ivy. However, there are a good amount of plants out there that if you do apply their oils to your poison ivy – and then rinse those oils off quickly – it clings to the oils, removes them, and prevents them from spreading. I could see this pesky little yellow weed being able to accomplish something similar with its properties! Thanks for sharing that experience! We used to have a lot of dandelions in our backyard when I was a kid, and I used to munch on the leaves when I was too lazy or having too much fun to go back inside and grab a snack. We didn’t use chemicals on our lawn, so they were safe. I’d heard of the blossoms being turned into wine or honey, but I have yet to see any in stores. I know that the flowers are a favorite of bees, so there is yet another reason to keep them around. Two questions (and there were so many comments that I may have missed earlier answers): First, can the blossoms be eaten raw, straight off the plant? Second: can these be grown in a pot like other herbs? I’ve only seen them growing wild and I don’t know how I would gather some to grow at home, and if they’d even thrive that way.